As we move into the Ressurection Season over the coming weeks, we are reminded of the Power of the Blood of Jesus. I love when we’re able to add Red to our range. It’s Bold and so Significant. This is a signature design for me. I love this chic yet easy-to-wear shape (hence the name “Cam” Chiffon Clergy Blouse 😉). It’s fitted in the right places and loose & lovely everywhere else. We also have you covered at the back ladies, we dropped it just a few inches at the back. It’s not for everyone, but if this is for you, get it while stocks last. The Black came and went, it’s now completely sold out. 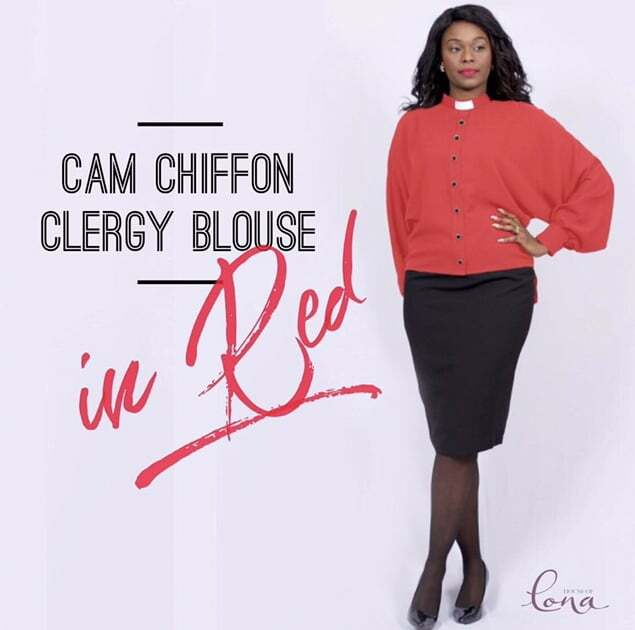 This entry was posted in Blog and tagged @houseofilona, Cam Chiffon Clergy Blouse in Red Limited Edition.